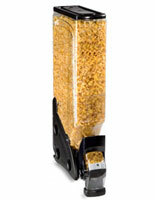 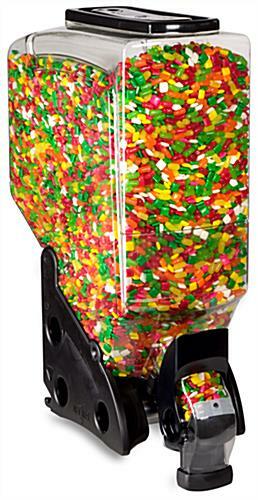 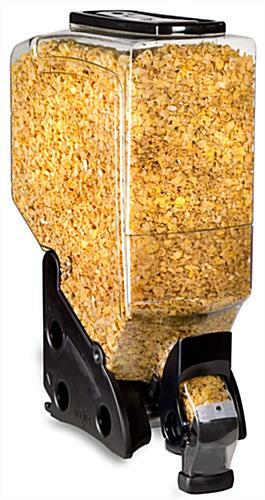 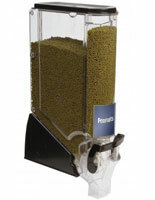 This gravity dispenser is the largest capacity container we sell at 12 gallons. 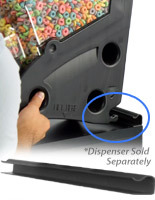 That holds a lot of grains, cereals, candy, and coffee beans! 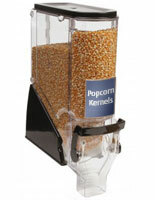 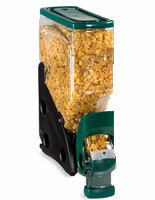 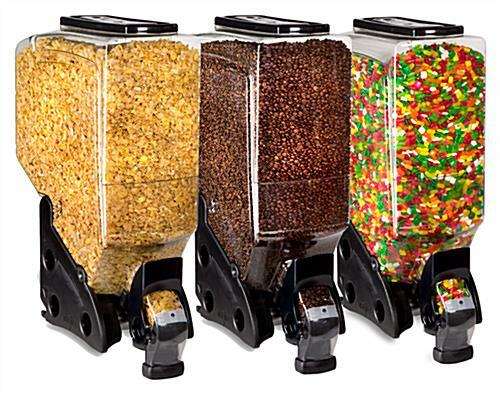 The gravity dispenser features a shatter-resistant polycarbonate container and pull handle with continuous flow action. 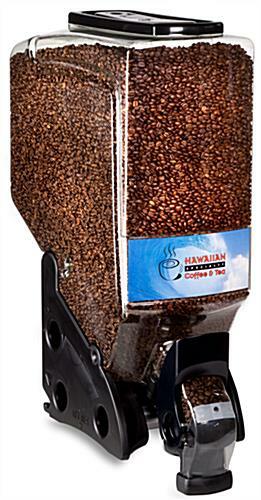 The entire bin is sealed for freshness and it only needs to be opened in order to replenish. 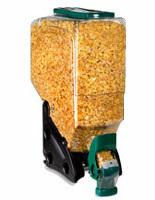 Our gravity bin is the standard dispenser in most supermarkets and health food stores. 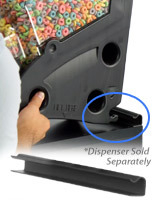 8.3" x 27.0" x 17.5"